About DK Readers L2: LEGO® NINJAGO: Ninja, Go! Jump straight into the middle of the action as children's favorite Ninja warriors harness their powers in an awesome new adventure. Kai, Zane, Cole and Jay have fought many villains, from skeletons and snakes to the stone army and nindroids - but now it's time for them to discover some exciting new heroes and enemies! 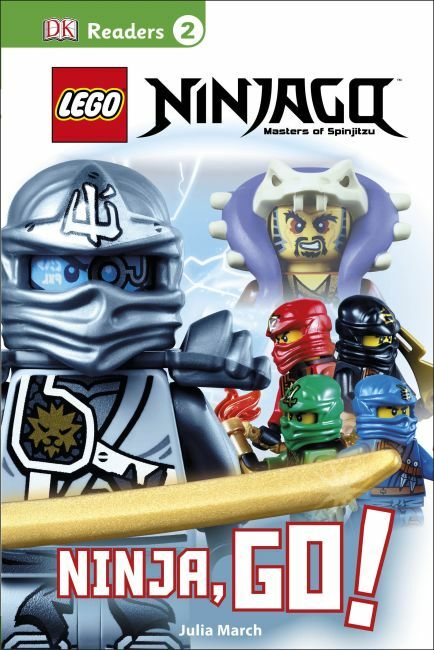 DK's Level 2 Reader, LEGO® NINJAGO™: Ninja, Go!, also includes brand new LEGO NINJAGO 2015 minifigures and sets.